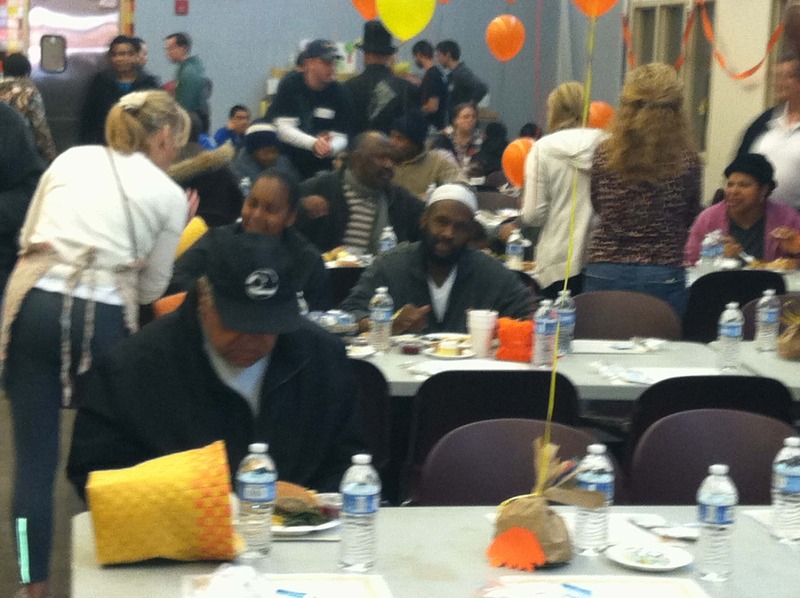 Our Thanksgiving tradition – delivering new socks for the homeless to Cathedral Kitchen in Camden, New Jersey. This morning we drove to Camden and delivered 610 pairs of new socks for the men, women and children who attended the holiday meal. It was a great event for families with children as there were art activities, balloon animals and face painting. The Kitchen anticipated that they will serve dinner to about 450 – 500 individuals this year. A blessed and Happy Thanksgiving to all! !